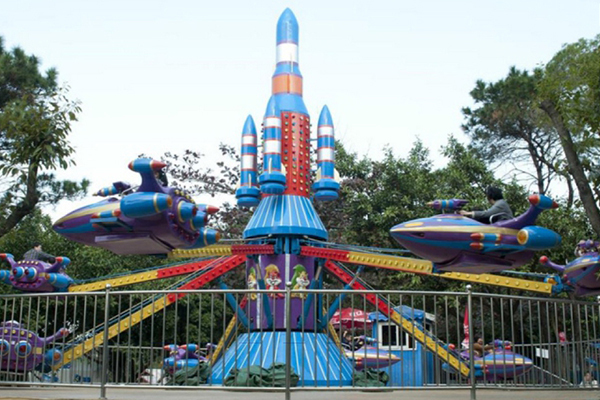 This family-friendly ride features fourteen (or eighjt) planes that can accommodate 2 passengers each. The planes are equipped with a controller that lets the “pilot” decide how high and how low they will fly. Riders can swoop and soar to heights of 4 meters (13 feet). This kind of plane promises to be a high capacity ride with lots of repeat riders since everyone wants to pilot their own adventure. And it is available in customized designs to meet your park teeming requirements.